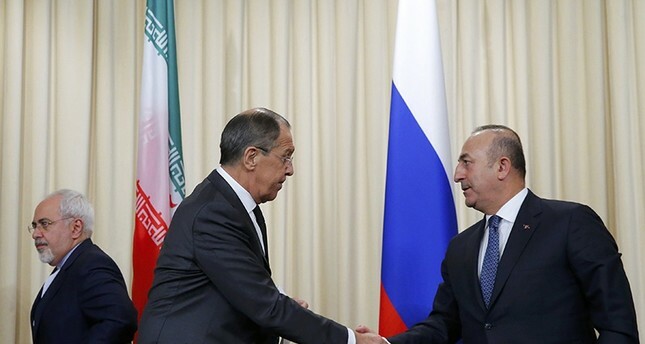 Foreign Minister Mevlüt Çavuşoğlu held a phone conversation with Russian counterpart Sergei Lavrov to discuss Turkey's Operation Olive Branch in Syria's Afrin, diplomatic sources said Saturday. Sources noted that the foreign ministers discussed the current situation in Afrin, where the Turkish military is carrying out an operation to clear its borders off of terrorists. The phone call came just a few days before the Syrian National Dialogue Congress, which will take place in Russian Black Sea city of Sochi on Jan. 29-30. Turkey launched "Operation Olive Branch" on Saturday at 5 p.m.(1400GMT) in Syria's northwestern Afrin region; the aim of the operation is to establish security and stability along Turkish borders and the region as well as to eliminate PKK-linked and Daesh terror groups, and protect the Syrian people from the oppression and cruelty of terrorists. The operation is being conducted under the framework of Turkey's rights based on international law, U.N. Security Council's decisions, especially no. 1624 (2005), 2170 (2014) and 2178 (2014) and as per the self-defense right under the 51st item of the U.N. charter, while being respectful of Syria's territorial integrity.